Cherry Creek North has been a “sweet place” to live and play. Now, it’s even sweeter. The holiday season is over and Valentine’s Day has come and gone. You might think the season for sweets has passed right on by…but fear not, Sugarlicious will make you reconsider those New Year’s resolutions!!! Sugarlicious is the newest addition to the neighborhood stores and boutiques in Cherry Creek North! Sugarland is Cherry Creek North's newest Boutique Shop. It's perfect for the young at heart. One of the perks of living in the area is to enjoy these great stores! How many times in our lives have we marked a special occasion with a sweet treat? Perhaps you are craving those pink and blue bubble gum cigars to celebrate a new baby entering the world…or your little league days chewing the grape Big League Chew gum? Take yourself back to those great memories and do yourself a favor…stop into Sugarlicious today!! 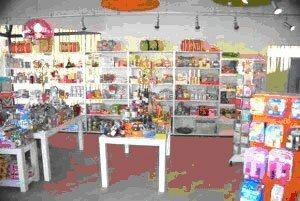 Sugarlicious is a “mom and pop” store who prides themselves on being the “newest kid on the candy store block”. They are located on the corner of 3rd and St. Paul in Cherry Creek, right at 3000 E. 3rd Avenue. 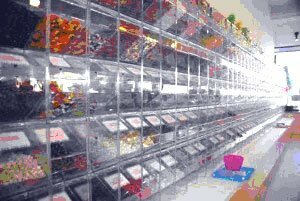 Their store has bold fun colors and candy lining every wall! You walk into this Wonka-type of fantasy and are instantly put in a happy childlike mood! After all, everyone loves candy, right?? The store is “chock-full of sugary treats, mod accessories and perfectly preppy must-haves. With a perfect blend of well-known names like Lilly Pulitzer and Jonathan Adler, and niche celebrity favorites like Sisco Berluti bracelets, Brooklyn’s Nunu’s Chocolates and Swedish candy line Sockerbit, we have a little something for everyone on your list – from the hostess with the mostess to the BFF who has one of everything”. Stop by and see for yourself what the sweet talk is all about. Or contact them directly for more information!